You have a dream God gave you about your ministry in your belly, or an event or church that needs more "peeps" in the seats! The problem is that you're not sure where to get some solid, sound and step-by-step direction on how to jump start your marketing and kick your ministry into full throttle! If you want to learn how to position you and your ministry and get the publicity you deserve, I'd like to invite you to a very special Teleseminar with my friend and author, Bunnie Jackson-Ransom. If you are ready to learn some proven strategies and publicity secrets from ministry marketing experts who have achieved awesome results for others, I would strongly encourage you to join me on Thursday, July 29, from 9 p.m. to 10 p.m. EST. 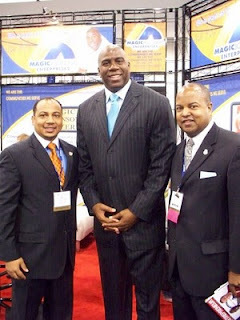 "Get out There" and increase your visibility, credibility and impact! 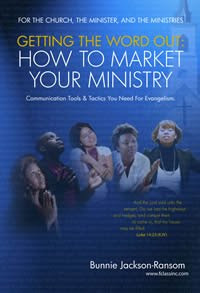 Bunnie Jackson-Ransom has spent over ten years of her life dedicated to ministry marketing and authored "Getting The Word Out: How to Market Your Ministry" that is designed to save you both time and money in your quest to achieve your ministry marketing and public relations goals. 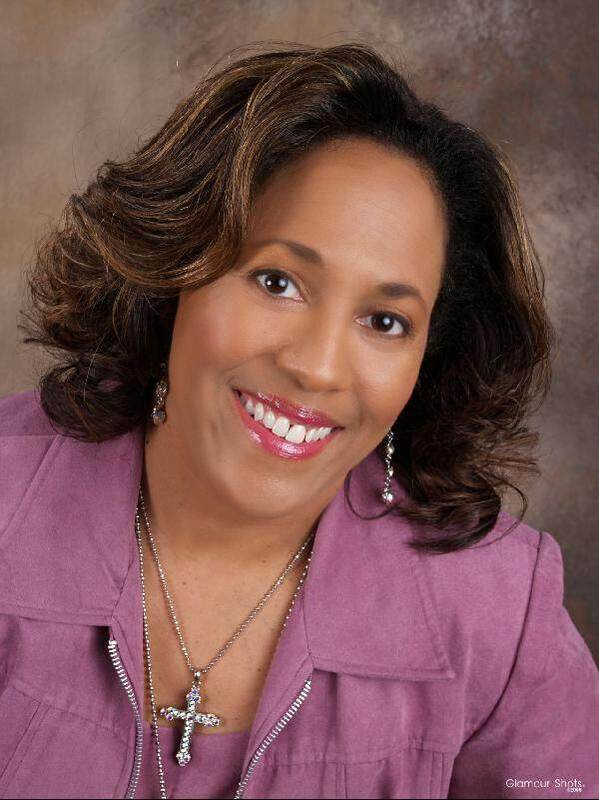 She is the founder, president and CEO of First Class, Inc., an Atlanta-based Public Relations and Marketing firm of 35 years, serving clients ranging from major corporations to non-profits and the individual client. She received her master's degree in business from North Carolina Central University. She is the quintessential marketer and has developed an effective niche for church marketing and public relations.This one-of-a-kind book is guaranteed to help you "Get the Word Out" in an easy, simple to follow system with class, FIRST CLASS! 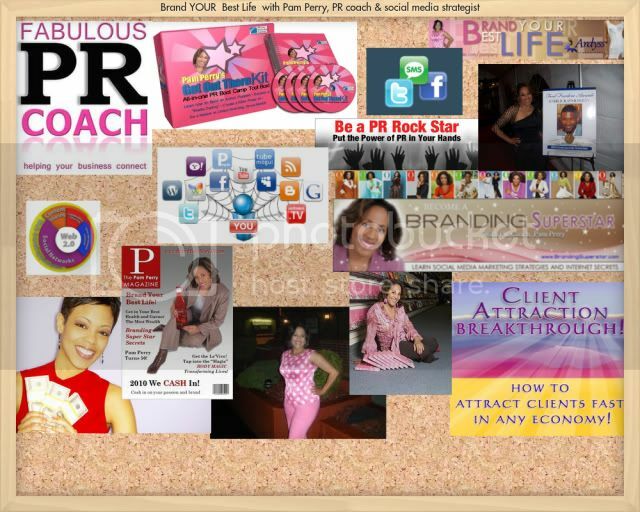 Pam Perry is a PR Coach and Social Media Strategist delivering online branding and marketing solutions for best-selling authors, nonprofits and entrepreneurs for over two decades. 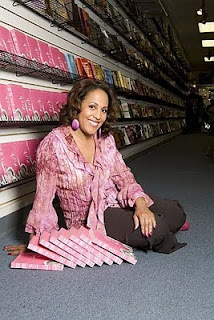 She is the Chief Visionary of Ministry Marketing Solutions, Inc. and internet radio host of Chocolate Pages where she has interviewed authors such as Kirk Franklin, Rev. Run, Demond Wilson and Yolanda Adams. Perry, an Emmy-award winning TV producer, is also a columnist with Gospel Today and blogs for MyBlogalious.com, Examiner.com on Branding, Marketing and Public Relations 2.0 tactics. 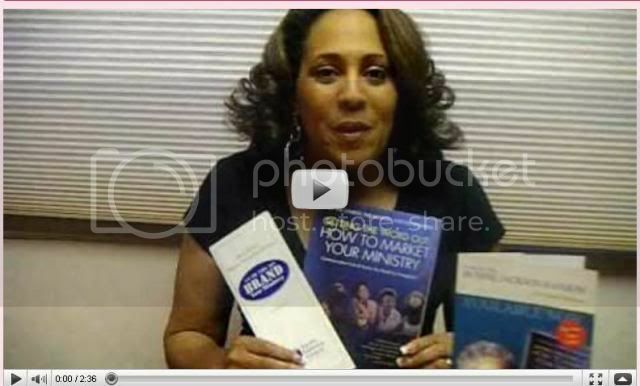 She is the author of "Synergy Energy: How to Market Your Book, Grow Your Business and Brand Your Ministry." 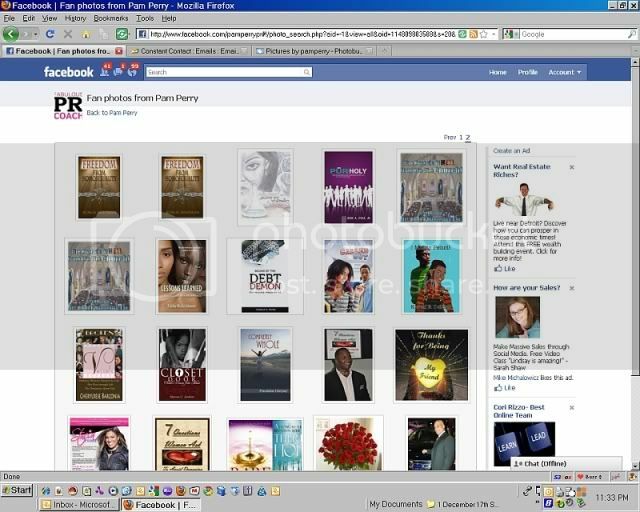 Her "Get Out There Kit" has helped authors and ministries world wide to leverage their resources and build buzz online. We will also have the recording available for all those that register. See www.PamPerryonlinepr.com too and join www.ChocolatePagesNetwork.com! Mirror, Mirror on the Wall who is the Savviest in Social Media of Them All? One of my DREAMS. the Savviest Social Media category! 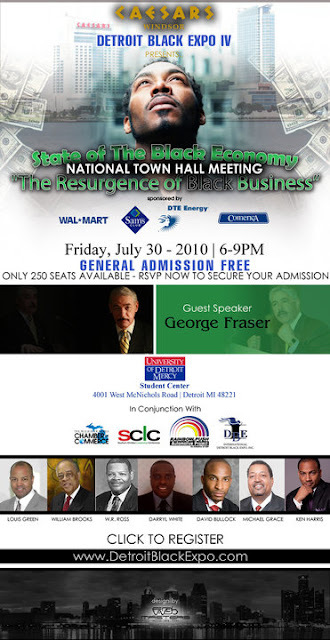 THE RESURGENCE IS HAPPENING IN DETROIT. Write Basic Articles and Press Releases about the product you want to promote and submit them to these free (or almost free) web sites. A good mindset to be in while creating an article or press release is to think of it as a testimonial. Explain about the power of the product and use specific examples on how it has been a benefit to you. 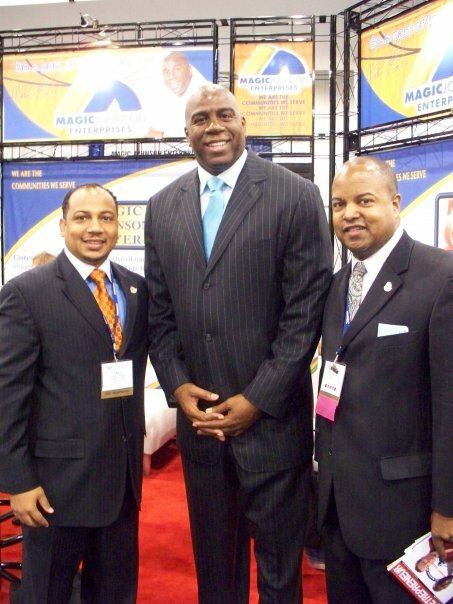 You can also throw in some details on how the business has benefited you and why you think it is a must for everyone. Be sure to use specific examples, because social proof is #1. Always leave your readers wanting more and the only way they can find out more info is to click on your capture page link. After all, that's the end goal from all advertisements, to have them enter their information on your site. Another great way to find specific articles and press release submission services is to do a search for "free article submission" or "free press releases" on Google. 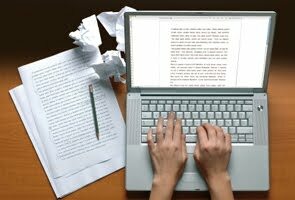 Once you have an article or press release created and ready to submit, find 3 to 5 submission services to submit it to. Submit the same article or press release to all of them. This will ensure that you'll get your information seen in a natural search. Don't write an article that's more than a page and a half long, or more than about 800 words. Keep your lines short and your paragraphs to no more than four sentences long. No one reads on the Internet, they just skim, so keeping your lines and paragraphs short will keep them reading and not skimming. See the example of a press release/articles below to get an idea of how to create one. The best way to get the most out of article and press release marketing is to write a new article every few days and submit it to 3 or 4 article submissions services. Keep in mind that more is not better. Only submit one article to several submission services, and then move onto your next article. Over time your articles will build up and the traffic will start to come. But you must be consistent and submit articles on a regular basis. You may need to sign up to get a free account with the services in order to submit your work. They make writing easy - and you learn how to do it right to get TRAFFIC. (Even if you don't want 'leads' - you can use these principles for anything!) You also get the "Recruit with Words" from Mike Dillard. I love his stuff! Invest in tools that teach you how to learn more - and earn more! J.K Rowling, Stephenie Meyer - they have big names for selling their most imaginative stories through books. If you say imaginative, there has to be a unique slant to their stories that would make them want personally by massive people. Branding, the art of putting a meaning and life to an already given name, is something that most professionals should always take note of. If you are a writer, you might consider branding yourself through a book. There's a big difference between knowing what you want to write and knowing what you want. Take time to get to know yourself by reading books. You can categorize what you are from what you are not through your choice of books. Do not copy the books, just take ideas and be aware how these books introduce their writer. 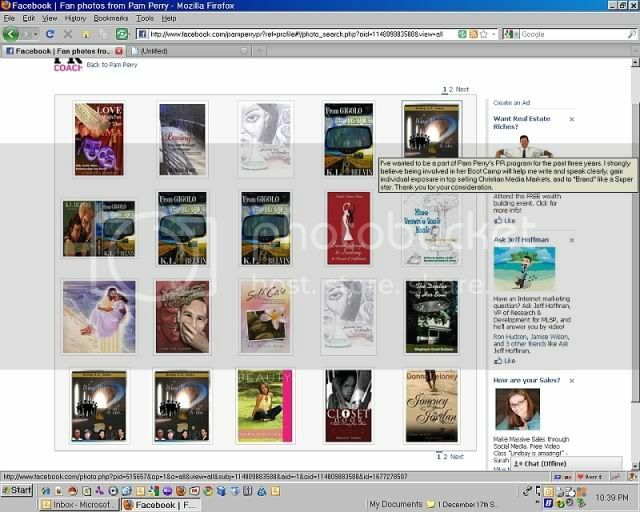 From that, it will be easy to visualize the impression and the name you want to project on your own book. Be clear and precise on who or what kind of people you want to reach out your message or story. Consistency on knowing your audience is the foundation and direction for the content of your book. You'll never really have a clear idea on what your audience and readers expect unless you imagine yourself as the one reading your own story. If you want to capture interest of a child, think of what a child wants to see into your book: colors and pictures. If you want to sell something, think that the costumer not only wants quality but promos and freebees as well. Enhancing your writing is compromising between what you want to convey and what your audience want. An effective book entertains, but a book with brand connects. Entertaining is short term. People can get entertained and then forget about it after but when you connect with people, you produce a long term impact. You may never know out of the thousands of people reading your book, there is a large probability of people connecting and remembering you. A lively connection between the reader and the author relies on reality. Life is all about the reality and every person experience it. A touch of reality on some aspects of your pages won't harm your identity. Take a look at the myths and fables, the story is fiction but the thing that keeps them remembered is that they portray values and messages that people can get inspiration. Take a look also at the hard news, people read news because it is the most relevant. They rarely read past news. They rarely read news that happened too far from their place because they have no connection from the things that had happened. Closer people are the ones who know you better that anyone. It will help if you ask them to take time to read your work not only to check for grammar but to criticize and judge whether or not you have shown your own character in your book. Suggestions on improvement, on entertainment, and on purpose of the book are the ones we are talking about. Be open for a suggestion that would encourage you to become more different and to stand out. 8. Don't forget to write your name - on the cover and on the back! It's your book! Go ahead and mark it all down with your name. Try the Stephen King technique where you can see his name on top of almost every book he wrote. Along with your name, create a trademark that would always recognize you as the author. Whether it is the theme, color scheme or background should spell you. You can use it in the future for your next edition. The back cover is the next thing readers will look at when a book is sealed. Putting a little information about yourself at the back helps you become branded. READY TO REALLY Get seen, heard, celebrated & COMPEN$ATED! Free Teleseminar! Kick your boring bio to the curb and make more money, attract quality leads, and invite prestigious media opportunities that recognize YOU as the expert. Are you frustrated that you can’t seem to find the time to focus on or organize a good bio or speaker sheet for your important work in the world? Have you reinvented what you do so much over the last two years to survive the down economy that your ideal clients don’t recognize your offerings today, and you don’t either? Do you fear that your writing abilities and storytelling talents aren’t up to snuff? Do you struggle with self promotion? Have you found it challenging to strike a winning tone of voice to appeal to your ideal client, customer, or conference audience? What is is costing you in lost new opportunities NOT to have a winning bio ready and working hard for you and your growing business right now? During this complimentary teleseminar, Nancy Juetten will share some of the biggest bio writing blunders business owners make that stand in their way of attracting quality leads and prestigious media interview opportunities. You’ll walk away from this call with powerful “aha” insights that you can apply immediately to help you save valuable time preparing for media interviews, set the stage for you to delight broadcast media producers, while making your bio read better so the right people will notice and act. Most importantly, by the end of the call, you’ll be fired up and ready to take action transform your boring, boilerplate, and bland bio to the rock star status of which you and your expertise are so worthy. Whether you need to attract new clients, invite media attention for your winning ways, or all of the above, you’ll gain at least 3 BIG insights and practical actions you can use immediately to make your bios for the web, your speaker sheet, and your social networking profiles better immediately. Don’t miss this timely and engaging opportunity to learn how to build YOUR buzz and invite the opportunities to share your message with the world. and brand stand out in the complex and competitive world of online media? For more tips on online marketing, I have a downloadable ebook and an audio mp3 on WEB 2.0 that teaches you how to "Be The Media." See our PR Pro Coach Shop. I also do group PR coaching to help authors get a "grip" on how to leverage their social networking into a loyal online following. We got a winner! Pam Perry PR Boot Camp Scholarship Winner! 1. She had 80 Votes and was relentless in her promotion. to a generation who needs God. and glorify God with my gifts. 3. Her cover was popping. 4. And she followed up. to be the next best-selling author! But ALL AUTHORS WHO ENTERED WIN! and $50 off the National Christan Writers Conference! Thank you for all who entered, campaigned and voted! The power of social media is powerful and works if you work it. Need help to get your MOJO moving? and received exposure. Duh? That's what YOU want right? priority if you want it to be a success. for details on the National Christian Writers conference!